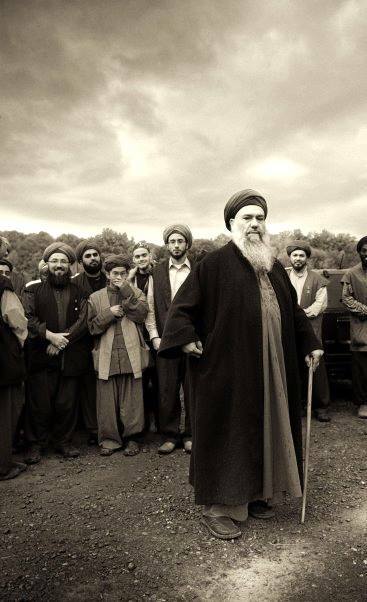 Sheykh Efendi: Auzu billahi min ash-sheytanir rajim. Millions today are making jokes about how the cloud appeared in Canakkale and took one group of British and just disappeared and still their bodies are not known anywhere. Now they are making stories. But people from that time believed because they saw and they witnessed. After them their children, they are also not believing because it’s something extraordinary. 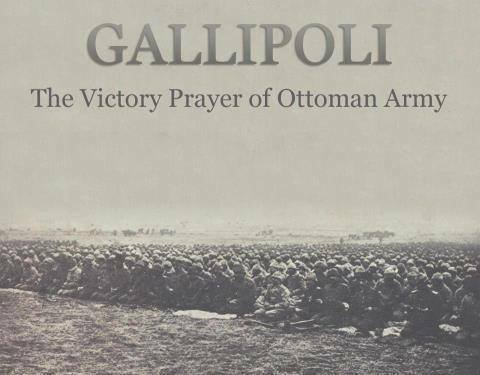 It’s showing (to the non-Muslim forces that came against the Ottoman Empire) that the God that you are worshipping is helping these people and it’s not helping you. So it’s not such a good position that you want to be in, right? How are you going to say, “The side that we were fighting against, they were right and the Lord helped them by sending clouds and everyone disappeared in it.” It wasn’t just ten people in it. Not only that but so many other unusual things happened there. Who was in Canakkale? Our Grandsheykh (Abdullah Daghestani QS). So is it so hard for us to understand who is making all these things? Heh, there was a General who didn’t like the Grandsheykh. And a bomb flew and fell into the area where the Grandsheykh and everyone were in. Almost everybody died or became wounded. Where Gransheykh was, where it fell, it just became a big hole and Grandsheykh was sitting and praying there. The General was shocked and he came down to the Grandsheykh. He kissed his hand and said, “I didn’t believe in God. I didn’t believe in anything but I believe you from now on because I have seen with my eyes what had happened.” He said, “You are a different individual from everything else.” And that General started following the Grandsheykh. Not only Grandsheykh but so many other sheykhs and saints entered into that war. 250,000 people died. It’s not 250. Two hundred and fifty thousand people died there in that short time. Only from the Turks. Almost 300,000 died from the other side. Over 300,000 people. You are talking about more than half a million people dying in those waters and in those lands there. Everywhere you are stepping on there are bodies underneath it. I spent three nights there and early in the morning when I was calling the Azan… I was calling the Azan very strongly early in the morning, (there was one tomb, that of Suleyman Pasha, he did great things there too) near his tomb and I was going there for prayer and you can see in far distance the lights of the Greek islands there, right on the border. People came from the other side. In the morning when I was calling the Azan right before dawn, things were setting down and I was seeing all these beautiful rains of light coming down. Like rain drops light was coming down and with that different smells were coming. And there was a voice speaking to me saying that all those drops are representing all those soldiers, and everyone has a different smell. So everywhere I was walking I was seeing different lights. I was walking, passing through their tomb sites and you would think that there are so many tombs there but it’s not. In the mountains and everywhere you see that light connection coming from the Paradise to there, from their tombs going up. That’s why people who don’t have strong spirituality cannot live around there. It’s pretty heavy for them. People who have high spirituality want to live there all the time but they don’t leave them too because you discover so many secrets there. It opens up. Unless you are keeping the secrets, then they keep you there for some time. Otherwise (they don’t). You can see that all those areas are not packed up with things. Everywhere is almost empty. In the villages, you see the people, you look at their faces, no arguments, just peace coming from their faces and they are always walking, going back and forth but no talking. No sound. It’s like a dead valley. No sound. It’s like a different world that you are living in. Even just an ordinary person can feel that right away and understands that it’s completely different here now. Huh, all those soldiers, British, ANZAC, all those are very happy to be buried there. They are saying, “Mistakenly we have fallen into Paradise.” (Sheykh Efendi smiles). Everything smells different. The flowers smell different there, the mountain flowers, they all have different smells and different colors. You can see that heavenly look on everything there. All the stones they put there are symbolic. They are not underneath there. They just carried so many of them and they buried them in mass graves and they put those stones there. But there are special places where special incidents happened. Those areas are completely different. You see how it is there. But you can see it on the stones. Every stone that you pass, the age that all died were 19, 20, 21. Did you see the trench? The war trench behind which they were hiding? Then you didn’t see anything what the soldiers the built. Do you know how close they came to each other? From here to there where `Y’ is sitting [approx. 10 meters]. The world has never seen a war like that before. Never. No way that it can get that close. You have trenches here and you have trenches there [Sheykh Efendi pointing to the two opposite walls of the dergah and the distance between them is about 30 ft.]. That’s how close they got. Everything was so close there. The fear and the smell of death and the smell of the love of Paradise that kept those people keep on coming and going. People without faith cannot stand there. The other ones had no choice because they were dumped there with ships. So they had no place to go now. So many were brought from the Subcontinent countries. They were Muslims. Afghanis and [today’s] Pakistanis. So many were put in ships and brought there [by the British] to fight the Khalifah’s soldiers. Khalifah’s soldiers! They didn’t know. They tried to give up but they [the British] said, “You cannot go anywhere. We will shoot you down into the water.” So they were fighting. People are having everything easy now, everybody speaks on everything and Islam became a game to everybody. A game. Nothing but a game. Not accepting anything. People gave lives! Not life. Lives! One house giving three, four sons to die in that war. Can you imagine? Four sons, five sons died in that war. Three sons died and the husband died. I met a lady. Looking at her face is like looking at a heavenly person, as if heaven appeared through her face. It is not sad and it is not khek khek khek. It is a beauty that is appearing. So beautiful and calm. She was talking, she was praying and she was saying to me what happened. The husband died and three sons died. And she was saying, “Alhamdulillah. I hope I didn’t make a mistake. But I have no regret. If I had ten sons then I will give again. But I am looking at the situation of this country now and I am very sad. I think those ones will be sad too.” Looking at her face, (I saw) Paradise coming out from her face. And she said that she didn’t cry. She cried from the pain but she didn’t cry for anything and she was very happy with what Allah did. Then she was living all these years after that by herself. She had another daughter and she died too after some time. And she is still living. Allahu Akbar! People going through all that pain, do you think it’s easy? Think on it. Just to think on it. So many people I say these to, they say `Eh.’ I say, “Compare, just compare with yourself and look what happens.” No comparison. Impossible to compare. They were believing. That’s all. They were believing in what they were doing. They were sincere with what they were doing. I met another lady. She fixed the whole village with her father’s death money that was coming. The government was not taking care of the tombs of the people, okay? And he was one of the persons who died in Canakkale and it’s near the village there. So they brought him to the village and they put him there and at that time the government put money out saying they have to take care of those areas. They did it. Then [later] everything was falling down. So she was showing me the tomb site that she fixed and she was saying to me, “He fixed it himself.” I said, “How it happened?” She goes, “Everything was falling down and the little money that they were giving me from the government for my father’s death, I saved little for me for whatever was necessary for me to live on, and the rest to this village. He is in the grave and with his money we are still living. He is in the grave. With his money we are still living. The village is still living with the money that is coming because of him. And they are fixing his tomb with his money.” Allah, Allah. Unusual things are happening around there.